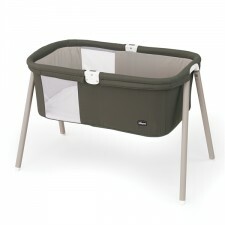 Bring blissful peace and everyday style to your adventures with the Poetic or Orion collection from Chicco. You will enjoy the subtle nuances of this smoky grey melange fabric with a diamond pattern overlay. 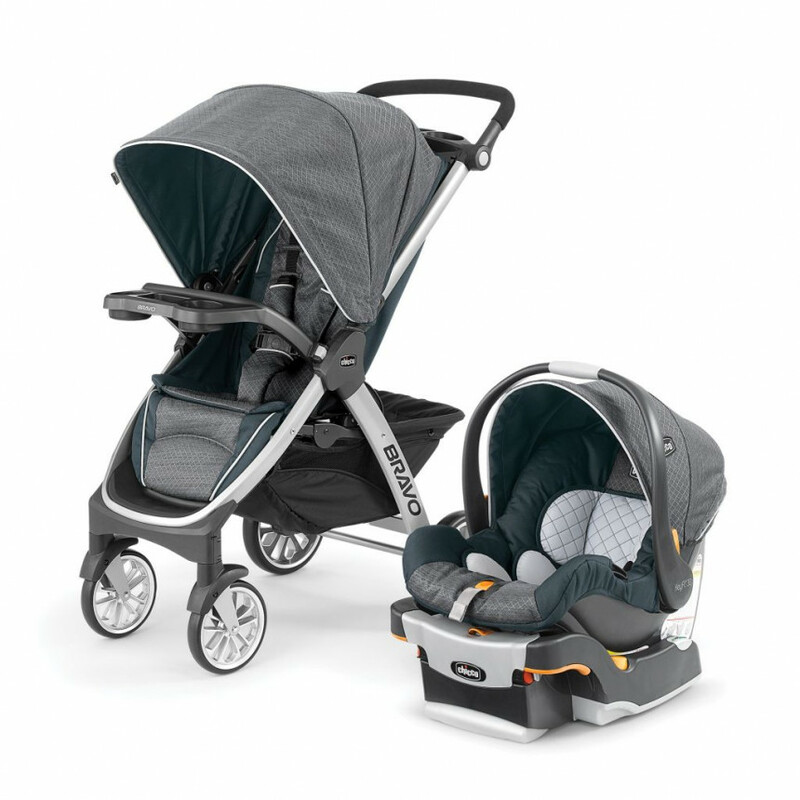 Featured with a rich s..
Bring blissful peace and everyday style to your adventures with the Poetic or Orion collection from Chicco. You will enjoy the subtle nuances of this smoky grey melange fabric with a diamond pattern overlay. 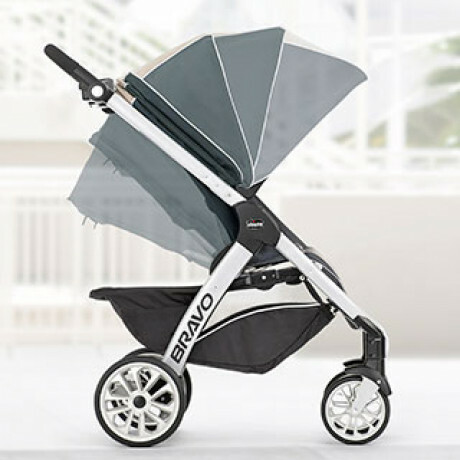 Featured with a rich slate grey and complimented by highlights of misty light grey, the Poetic fashion will surround you and your baby with casual, straightforward style. 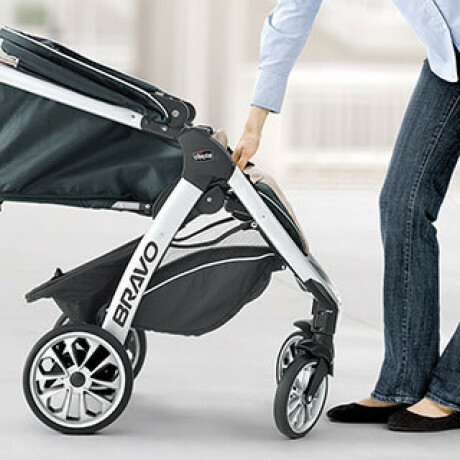 Stroller: for children up to 50 lbs. 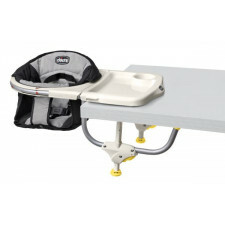 Car Seat: for babies 4-30 lbs. and up to 30” tall. 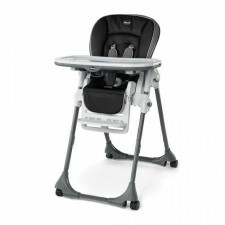 Car seat features: 5-point harness with one-pull tightener allows for a quick fitting, removable infant insert, energy absorbing foam, stay-in-car base with UAS-management system, easy belt routing and SuperCinch® One-Pull UAS Tightener to help achieve a tight and secure vehicle fit with a fraction of the effort. 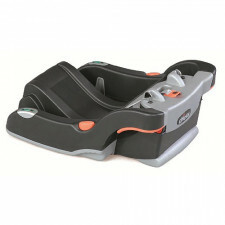 Infant Car Seat Carrier. 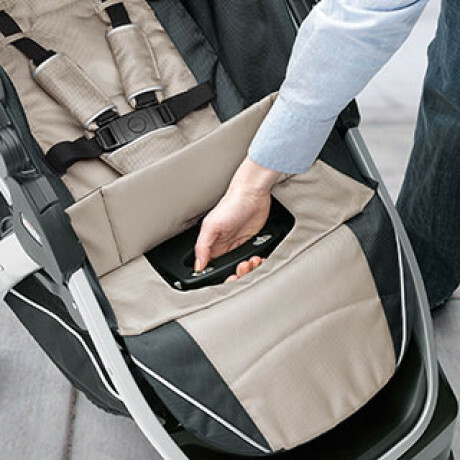 Removable stroller seat converts Bravo into a lightweight KeyFit infant car seat carrier. 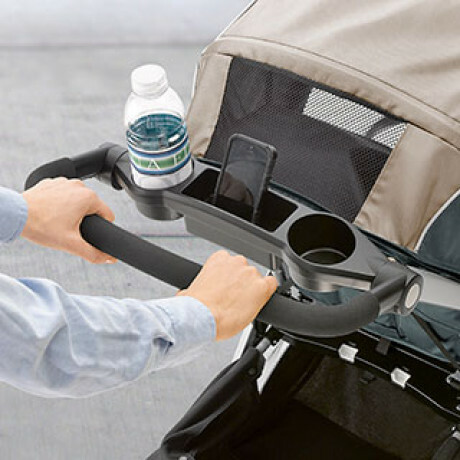 It’s easy to remove the stroller seat and canopy, attach the adaptor and click in the KeyFit. Travel System. 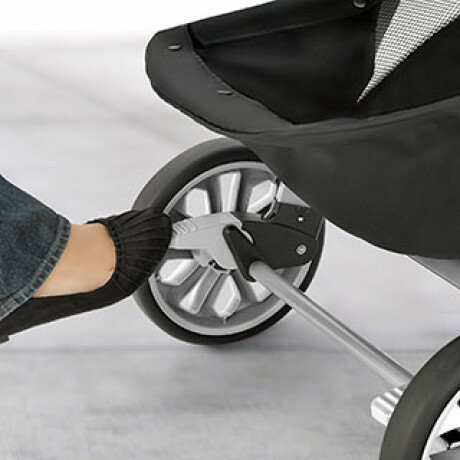 KeyFit clicks into stroller seat (using the adaptor) during baby’s transition from car seat to stroller. 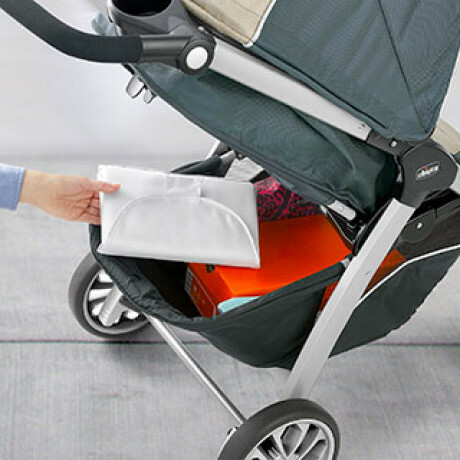 Quick-fold Stroller. Extendable canopy and reclining seat for a comfortable ride for toddlers up to 50 lbs. 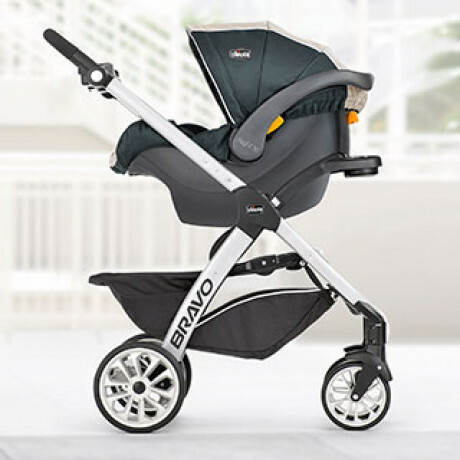 Stroller dims: 21.75"" x 35.5"" x 43""
Folded dims: 21.75"" x 16"" x 28""
Front wheel diameter: 7"". Rear wheel diameter: 9""